History teaches us that the difference in conduct between the police force of a caring king and that of a despotic tyrant is most commonly defined by two qualities: consistency and procedural transparency. Thus, it has become exceedingly necessary to further emphasize these concepts both to those enforcing the law and those subject to it. The Law's primary function is to establish rigorous and specific procedures for Code Agents as well as non-agents conducting lawful citizen arrests, as well as establishing a clear-cut itemized list of infractions and pertinent punitive actions to better foster a sense of transparency in the Highsec community. The Law of Highsec derives its authority from The Code and New Halaima Agreement, borrowing their moral foundation and establishing more stringent parameters to expand upon the existing criteria that defines bot-aspirant behaviors and other illegal activities. Its important to understand that there is no content in the Law of Highsec that supersedes any part of the Code; it is written as an clarifying addendum. The Law does not replace the Code; rather, the Code affirms the Law. Why Should I Support the CODE and the Law of Highsec? As a capsuleer in the Eve universe, you potentially exert influence over other players and as a citizen, your opinion matters. I will now explain why you should support the Code and the Law both at a conceptual level and at the practical level. Eve Online is unique in that unlike other mainstream MMORPGs, most of the climate and culture is defined by players. Eve is a Sandbox, where players have the ability to create societies and influence one another. The Code and the Law embody these concepts. The ability to create a law hinges on the power to enforce it. 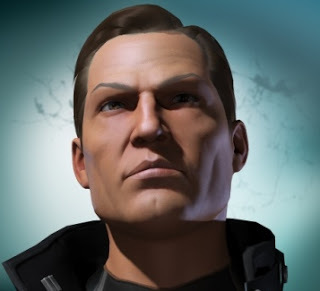 CCP designed the game with certain rules that come attached with certain consequences; thus they reaffirm the universal concept that power is authority. (example: Rule- "Shooting people in highsec will get you destroyed by CONCORD", Consequence (Enforcement)- "CONCORD shows up and lives up to their reputation"). Since we have the power to enforce the Law of Highsec through the use of our player-version of CONCORD (suicide ganks), we embody the spirit of a player-driven sandbox. In addition, CCP didn't simply make shooting people in highsec mechanically impossible, like it might be in other games. Based on this we can assert that beyond obvious and bannable exploits or glitches, what is mechanically possible is mechanically intended. Players creating their own societies and rules is what makes Eve a great game, and we are the prime example of this in action. Thus conceptually, if you enjoy the game as a sandbox, you should support our endeavors at least on this vague conceptual level... But suppose that although you support the idea creating your own laws and societies as described above, perhaps you don't yet agree with the specifics of our society. Allow me to lay a foundation that will now convince you at the practical level and in-game application. Because Eve is a Sandbox, it relies on the social aspect of its gameplay more than most other online games. Paraphrased, aspects of the game that empower groups of people (rather than the individual) are more vital to the game's success than they might be in other MMORPGs. There are many concepts that fit the aforementioned parameters but the one we will address in detail is the economy. The economy matters much more in Eve than it does in say, World of Warcraft, especially since many players rely on purchasing PLEX to play the game. If a player can make 700mil ISK a month to pay for a PLEX, what does she do if the costs rise to 900mil ISK? She must either cough up the subscription fee or stop playing the game entirely. We can deduce then, that anything that rampantly inflates the economy generally hurts everyone. Bots and bot-aspirants are a driving factor in said inflation. That player we spoke of before that can make 700mil ISK a month diligently working is severely wronged by bot miners that flood the economy and inflate ISK values. Her 700mil a month is no longer worth what it once was, and is not able to support her to the extent that she deserves. Furthermore, its worth noting that even if she were to build a fortune to sit on, the value of that fortune is diminished by the ISK inflation. Put simply, playing the game (especially making ISK) while using bot programs or while AFK (bot-aspirant) damages every player and decreases the value of everyone's assets. This can be mining, hauling, mission running, auto-piloting, or anything that is done while not actively at your keyboard/client. It is a discredit to all those who have worked hard for their ISK and want to play the game they love without having to spend a fortune of real money just to play the game. We vow to punish those who are willing to punish everyone else by their greed, and we hope that if you are someone who works hard for your ISK, you will support us in this endeavor. Perhaps you're saying "I don't support botting, but Code agents have ganked non-bot players and non-AFK players. What gives? Are you just hypocrites?" These questions are natural knee-jerk reactions. We will now examine these types of ganks and discuss why permits are a moral necessity. Though the agents of the CODE are capable, Highsec is a very expanse region and its population is a very large one to manage. Eve Online has a player base of over 500,000 users. There are (at the time of writing) about 400 New Order Agents (CODE. Alliance and a few others). That would give each agent an area of responsibility that includes about 1250 players. Perhaps 250 of them never come to Highsec even to resupply (a generous estimate), supposing they live in wormholes or deep in null-sec. The other 1000 players either live in highsec or travel into highsec regularly to resupply or conduct other activities on a less permanent basis. Do you have the time to monitor 1000 people's behaviors for bot-aspirancy? Neither do our Agents. Until the day when New Order Agents comprise a much larger percentage of the overall population, it is vital to streamline the process of determining and categorizing whether a player is a bot, a bot-aspirant, someone who supports bot-aspirancy (by openly opposing our efforts to squelch it), or a responsible hard-working citizen. Obviously, the sheer area of responsibility for each agent would be grossly overwhelming if he had to initiate a conversation with or monitor and log the activities of each individual capsuleer. The end result is the New Order Permit. It is a simple way to pledge opposition to bot-aspirancy: thus separating those who recognize the danger of bot-aspirancy to the game, from those who support such wretched and destructive behaviors. The cost of this pledge is so minuscule compared to the inflation of our economy that it is absurdly illogical to oppose such a simple gesture of solidarity. Eve is a sandbox where players are able to make their own culture. We've constructed a culture where ruining the economy is against the law, and we are capable of enforcing that law. By pledging a negligibly small fee and offering a simple token of moral recognition, capsuleers pledge to follow the Law of Highsec and make the game better for everyone!